A new PCB for solder practice. Styles will vary. 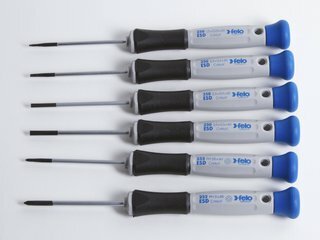 Need to bone up on soldering? Just getting started and want some boards to practice on? Teaching a class and need some practice boards? We've got you covered. 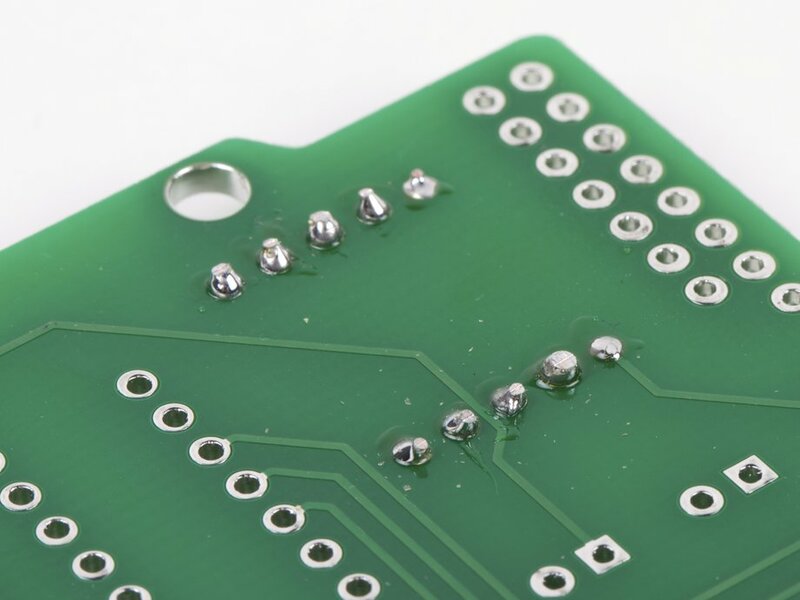 You'll get a brand new, clean, high quality, lead-free, through-hole printed circuit board-- One that we're not using because it's obsolete or has minor mistakes in the circuitry. 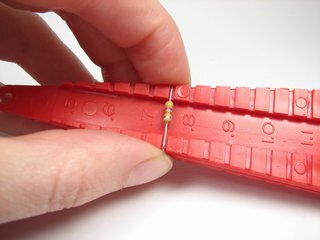 All boards have places for headers, and may (or may not) have places for integrated circuits, LEDs, capacitors, resistors, and other common components. 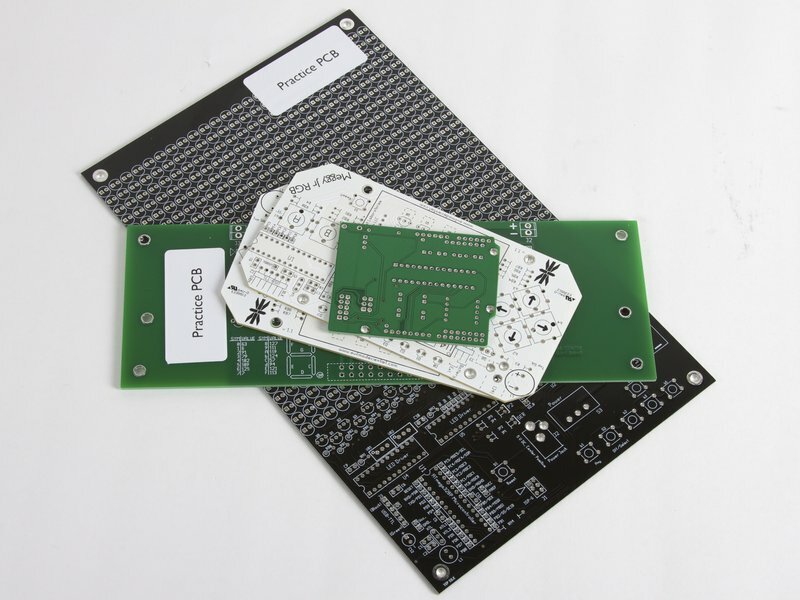 Some typical boards pictured above, however please understand that the exact contents will vary, depending on which circuit boards we have in stock. Practice PCBs are now free with any order. 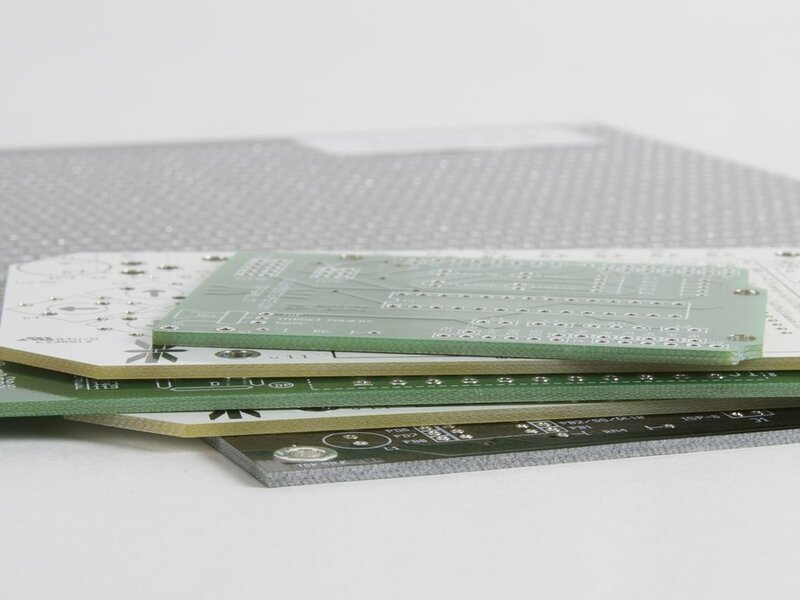 If you need a large batch of practice PCBs (more than three), please check with us before ordering.